The Most famous TV serial Kyunki Saas Bhi Kabh Bahu Thi (2000-2008) was very popular show and in the leading actresses Sudha Sihvpuri as a role of BAA was most popular and famous. In that Sudha Shivpuri got very positive comments and likes from people. 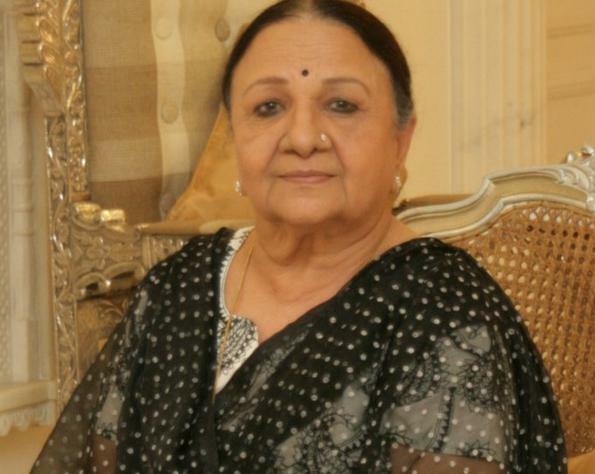 Now Sudha shivpuri left the world with her legendary role of BAA. She was about in 8th standard when her father left the world, and her mother got ill, thus for family earning he started acting and theaters. After getting married with Om Shivpuri and shifting to Mumbai in 1974 she kept on her acting in some Hindi Movies and then acted many roles in TV serials directed by Om Shivapuri too. She got many Awards for the show Kyunki Saas Bhi Kabhi Bahu Thi. At last yesterday on 20 may 2015 she left the world in Mumbai from Multiple Organ Failure and left her pics and unforgotten video.